If your rz1700 series iPAQ battery is just not lasting as long as it used to, or maybe the iPAQ has been left uncharged for a long period of time, and no matter how much you charge the battery it still remains dead. If this is the case you need a new iPAQ battery let us fit a brand new genuine Li-Ion 3.7v 1000mAh capacity battery made by HP. Standard 1000 mAh iPAQ lithium ion replacement internal battery. 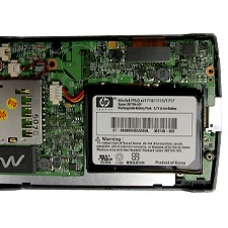 This is the original battery as specified by HP. To rep..